"There can be no justification for such reprehensible attacks. The perpetrators of these attacks and their supporters should be brought to justice," the Ministry of External Affairs said in a statement. New Delhi: India today strongly condemned the "barbaric and dastardly" terrorist attack in Kabul targeting innocent civilians, and extended all possible assistance, including for treatment of the injured. It also noted that today's blast followed the cowardly terror attack on children and civilians in Jalalabad on January 24. "India stands in solidarity with the government and the people of Afghanistan at this difficult time of mindless violence and terror imposed on them. We convey our heartfelt condolences to the next of kin of the victims of these terror attacks and pray for speedy recovery of those injured. India stands ready to extend all possible assistance, including for treatment of those injured," it said. 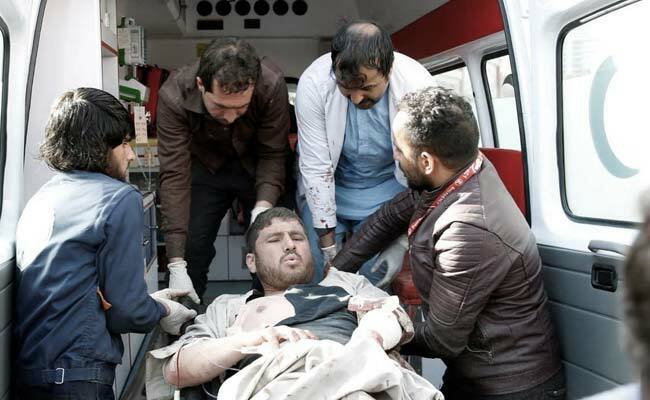 An explosives-packed ambulance blew up in a crowded area of Kabul today, killing at least 95 people and wounding 158 others. The Taliban-claimed assault was one of the biggest blasts to rock the war-torn city in recent years.